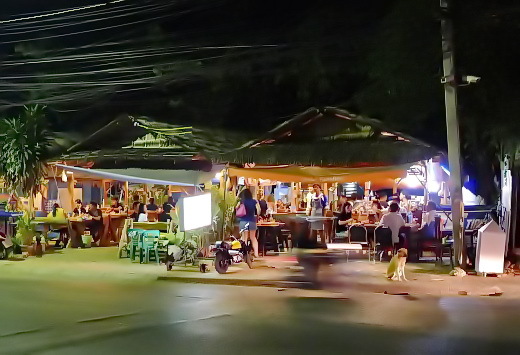 Touristic Evergreen Kanchanaburi seems rather quiet for a Saturday night…. Yup. 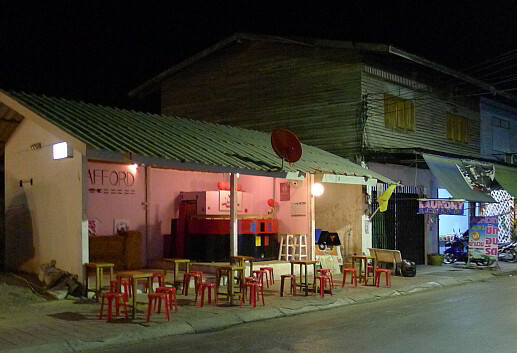 Recommended by Guess Who…. 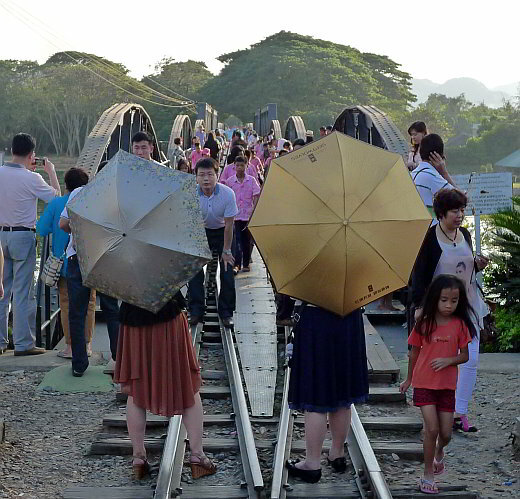 The River Kwai Bridge is still a universal magnet. No traces here of the blood, sweat, tears, and lives lost in its building. Long gone, but obviously not forgotten. Yup, besser hier als in the army! !